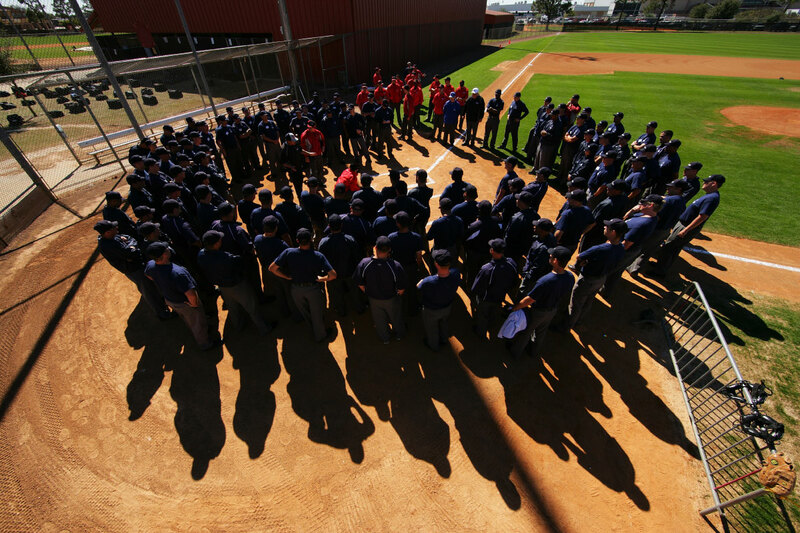 Jim Evans speaks to his students during the Jim Evans Academy of Professional Umpiring on January 28, 2011 at the Houston Astros Spring Training Complex in Kissimmee, Florida. Jim Evans was a Major League Umpire for 28 years that included umpiring four World Series. Many of his students have gone on to work on all levels of baseball including the Major Leagues.